Microsoft Azure has a ton of features and resources to use, which enable you to do just about anything from the computational aspect. However, since you pay for the usage of all these resources, you need to have an efficient cost estimation and monitoring policy in place, in order not to get billed with costs you didn’t take into consideration when enabling those services/resources. To this end, Microsoft provides a number of tools that can help you with that. The main tool that can help with estimating the cost (i.e. hourly cost, monthly cost, etc.) 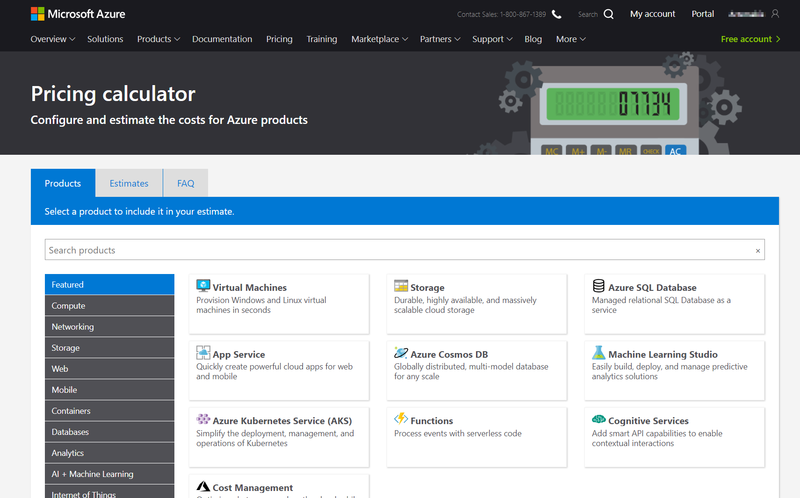 of a new resource to be added in your Azure account, is Azure Pricing Calculator. 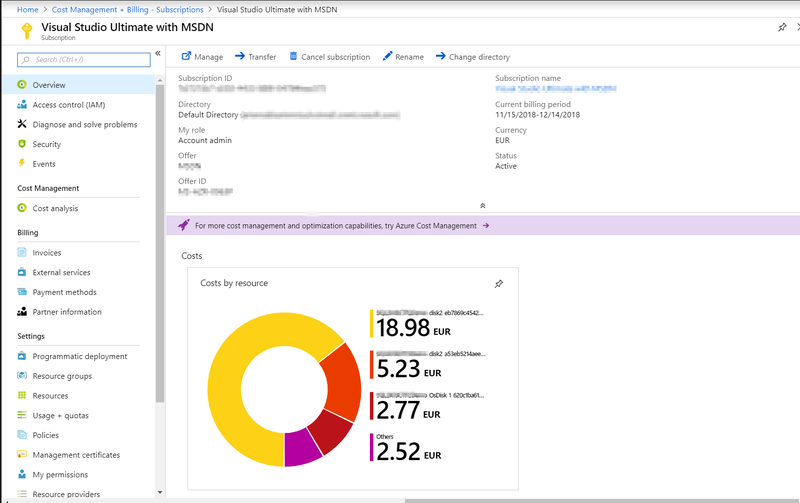 What is Azure Pricing Calculator? Azure Pricing calculator is an interactive web application, that lets you select Azure products and resources and add them to a virtual “basket”, and along the selecting various options and types for these products, the price is estimated automatically. Moreover, regarding the frequency of the estimated price, you can select to be on an hourly basis, or play with the hours and get for example a monthly estimate (i.e. for 730 hours) or yearly, etc. Figure 1: Azure Pricing Calculator Main Page. Let’s see an example with Pricing Calculator. Let’s say for example that I’m interested in creating a new Virtual Machine on Azure, that besides the OS, it will also have a SQL Server Enterprise Edition instance. 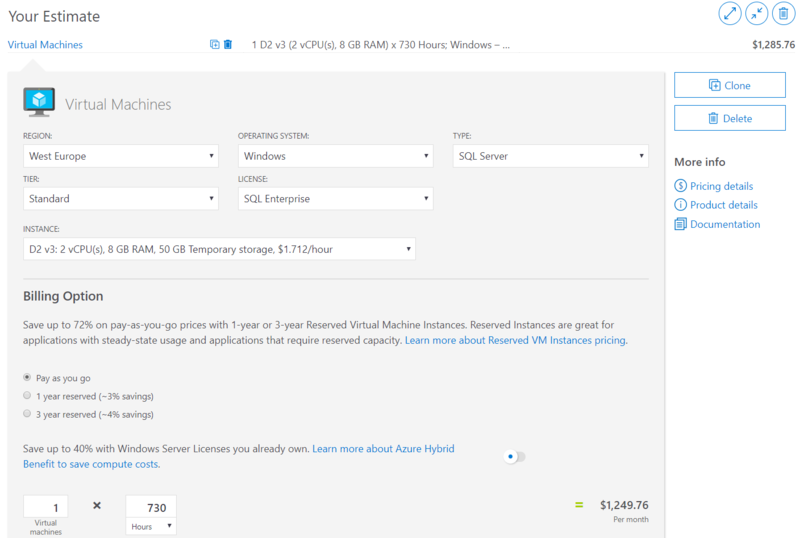 I go to Azure Pricing Calculator, click on “Virtual Machines”, and then scroll down. Now I see in the “Your Estimate” box, the monthly usage cost estimation for a Virtual Machine. The next step, is to choose the various options for my virtual machine. These options are the same options that are used when actually creating the resource in Azure, and they are the options that define the cost. Figure 2: Virtual Machine Resource Options for Cost Estimation (1/2). Figure 3: Virtual Machine Resource Options for Cost Estimation (2/2). 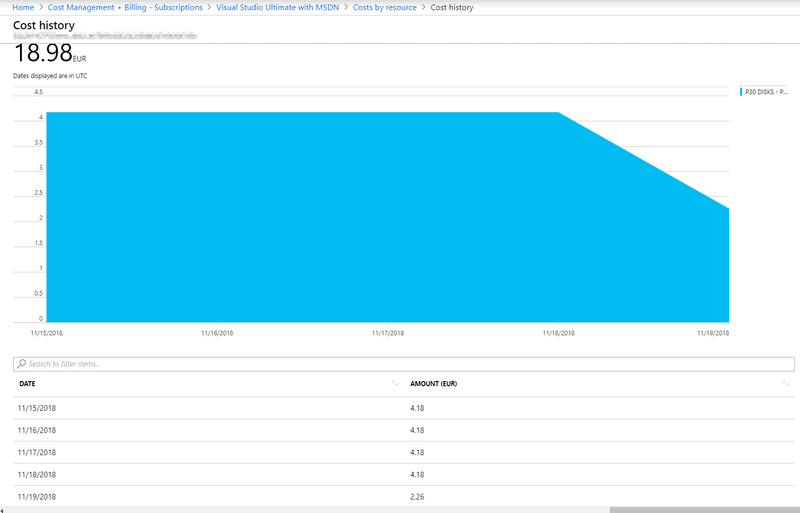 The above example, involved getting a monthly cost estimation about a potential resource usage on Azure, in this case, a virtual machine with SQL Server Enterprise. If the cost estimation looks good for you, and you decided to proceed with setting up and using the virtual machine (or any other resource on Azure), then you should regularly monitor the cost of usage for these resources. The first option is to use “View my bill” from the Azure Portal. Note: I’m using an MSDN subscription for this demo, so the options can be slightly different from other plans. 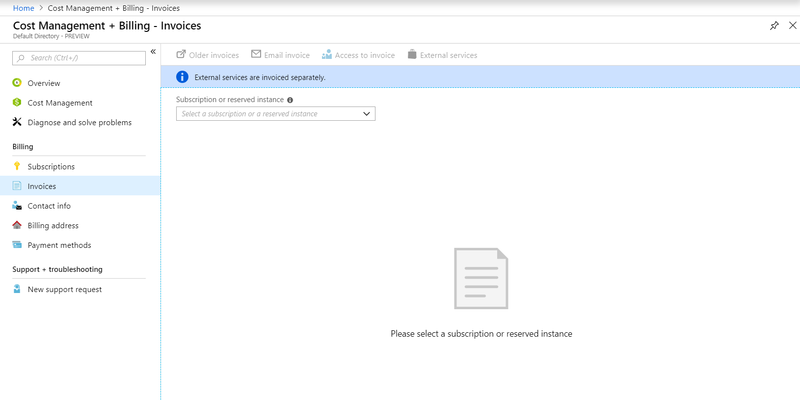 Figure 5: Azure “Cost Management + Billing – Invoices” page. In my case, since I’m using an MSDN subscription, I clicked on “Subscriptions” and then on my MSDN subscription. After I click on my MSDN subscription, I get the below page where I can see a pie chart and analysis of my costs by resource for the current billing period. Figure 6: Costs by resource. Figure 7: Costs by resource (more analytical view). Figure 8: Costs by resource (more analytical view). Depending on your plan, you can also get more cost-related insights via “Cost analysis” and “Usage + charges“, again, in the “Cost Management + Billing” page. Another way to analyze and manage the cost of your Azure resources, is by using Cloudyn. Learn more about it here. In this article, we discussed about resource cost estimation and monitoring in Azure. We categorized the tools Microsoft provides regarding cost estimation and monitoring, and studied some examples. 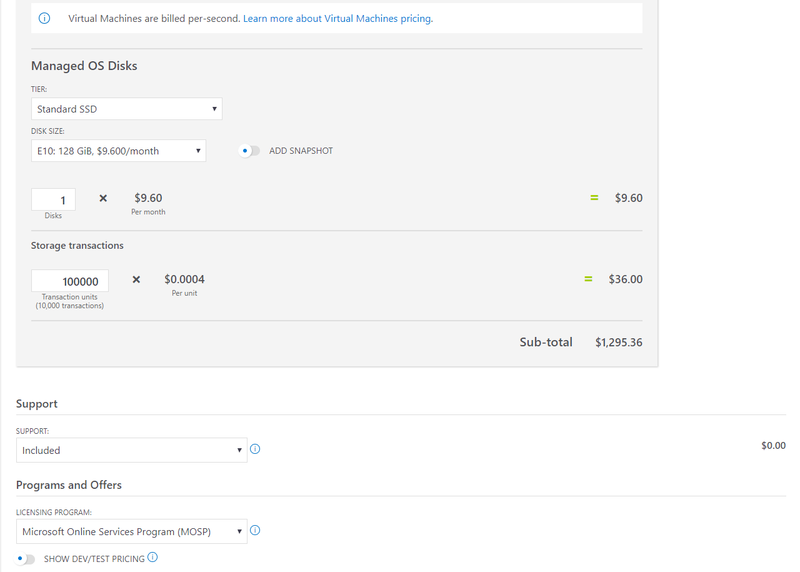 Prior to adding/utilizing any product/resources in Azure, I would recommend first to work with Pricing Calculator in order to estimate the monthly cost. After all, for any new product or resource, proper planning must be taking place, and cost estimation should be part of this planning process. 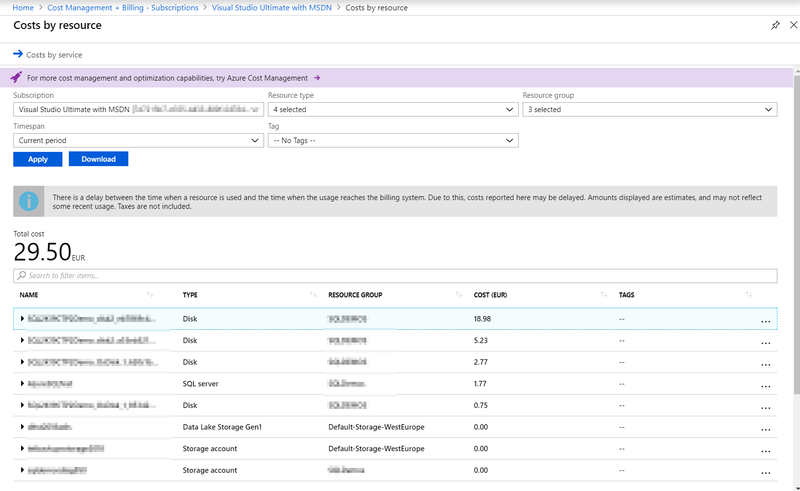 Moreover, after adding products/resources in your Azure account, you should be monitoring the cost of each resource for your billing period, and plan ahead for the next period, tune your resources, etc. Microsoft provides a large number of tools for cost estimation and monitoring, and you should definitely make use of these tools. Benchmark SQL Server memory-optimized tables with In-Memory OLTP Simulator.